“He’s fought his final war with pain and as death gave way to victory he saw the lights of Glory”. Bob will be lovingly remembered by his wife of 53 years, Wilma; children, Henry (Sandra), Cathy (Wes), Robert (Dorothea) and Pat; eight grandchildren and their families including four great grandchildren; three brothers; family and friends. He was predeceased by his parents, Hendrik and Geertje; one sister and two brothers. A Celebration of Bob’s life will take place at the Korthuis residence, 9918 - 149 Street, Edmonton (parking available north of the Tegler Terrace) on Monday, January 14, 2012 at 1:00 p.m. The family wishes to thank Dr. Griffin, and the 4th Floor staff at the Misericordia Hospital, Dr. Belch and the staff at the Cross Cancer for their kindness and compassionate care to Bob. 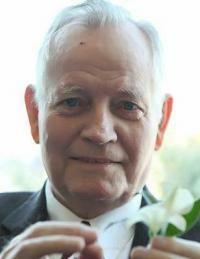 Donations in memory of Bob may be made to Multiple Myeloma or to a charity of your choice.